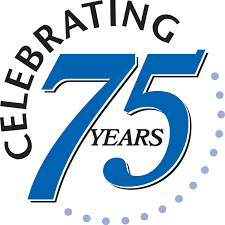 Our market and product know how is gained from 75 years of experience in coating film and papers, resulting in providing innovative release liners to the UK, Europe and World-wide. Release liners are the invisible enablers behind the manufacture of a wide range of products across a myriad of markets and industries. Our market focus approach means we can deliver specific and bespoke solutions to meet all the relevant demands of each individual application across all stages of the supply chain. We are a full service provider offering sourcing, coating, converting, printing and consolidation. Our versatile and flexible production capabilities enable us to supply in bespoke quantities or in large batch runs. Our philosophy is to be customer centred and to provide tailored solutions to drive our customer growth and build lasting stable relationships. Close communication with our customer at all levels – technical, manufacturing and commercial – enables us to take full account of product and market requirements. Release liners have a wide range of applications across a broad and varied market base. This can range from high tech solutions for the medical sector through to siliconised greaseproof paper for baking. Based in the beautiful Cotswold town of Cheltenham in the UK, we have a fascinating history, after being started by an ex pilot during World War Two. We now supply release liners world-wide across many markets and applications. We want to ensure you get the perfect solution for your needs, so please contact us and our friendly and experienced team will be more than happy to help. Part of Advanced Coated Products is The Foodwrap Co, a dedicated team of people supplying paper based products for the food industry, ranging from bespoke printed greaseproof paper to promote your brand through to high quality siliconised vegetable parchment paper for baking.